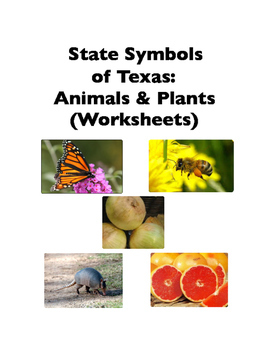 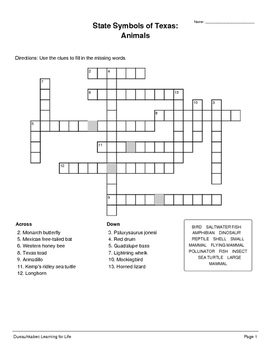 40 worksheets across 9 formats over 112 pages review the species, scientific, and common names of the official plant and animal symbols of Texas (answer keys included). 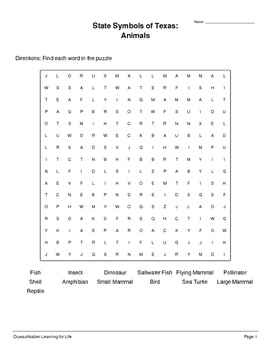 Ready-to-print, ready-to-distribute, ready-to-mark, the varied activities and levels accommodate students from elementary or ESL to high school. 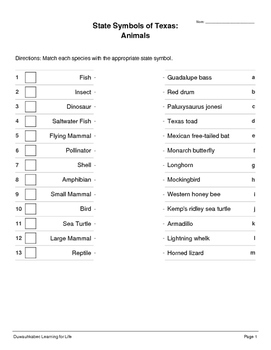 All marking keys are included.